And this year is no different – Wealthy Affiliate’s incredible offering still ranks as my favourite Black Friday Special. Because all the Tools, Training and Support I’ve ever needed to build my websites, I’ve found at Wealthy Affiliate. And on Black Friday I get all-year-around access to Wealthy Affiliate for the rock-bottom price of $299 (82 cents a day). So what’s new in 2018? This year I’m adding another awesome deal to my Black Friday Shopping List. Most of you know by now that I’ve built my websites on the cheap, my only cost of business being my annual membership to Wealthy Affiliate and my monthly subscription to Jaaxy. But I’ve been making money on my sites for a while now and my websites all need a facelift. I’ve decided to go PRO. It’s time I treated myself to a paid Theme. I’ve always been a bit nervous of upgrading to a paid Theme because you only really know whether you’re a happy with a Theme once you’ve tried it. So I’ve been researching professional Themes for about a year, maybe longer. And that’s how I discovered Elegant Themes, a Theme Club with 87 beautiful Themes including their signature Theme, Divi. Divi stands out way above any other paid Theme I’ve come across. I’ve read so many posts on Divi and seen so many gorgeous websites created using Divi. I’ve known for a couple of months that I just have to have Divi and nearly bought it a few times recently. I was even more convinced that Divi was the Theme for me when I started building a website for the Non Profit I’m involved with, Physical Literacy for Children. I started researching Non-Profit Websites that were designed using the Theme Divi. And they are stunning. What clinched the deal for me was when I discovered that The Kids Gym had just revamped their company website using Divi. How gorgeous is their new-look site? It has so many design elements I love. I very nearly bought into Elegant Themes more than once in the last few weeks. And then I heard about Elegant Theme’s Black Friday Deal and decided to hold out until Black Friday. Elegant Themes really go all out on Black Friday, they roll out brand spanking new Themes and give away thousands of free prizes and bonus gifts and their lowest discount ever. The deal will be live on November 23rd at midnight Universal Time (UTC) which is 2am in South Africa. I don’t know the exact price yet but I did some snooping and it seems that the discount will be about 25%. Can’t wait to install Divi on my 3 sites and start playing. So excited to see my see my site transform into something spectacular. I’ve even purchased a course on Udemy called Give your WordPress Website a Makeover: Divi Theme Redesign by Kristen Palana. Udemy also has a great Black Friday Special – get one of their top courses for only R 100/$10 and a free course on Cyber Monday. Though I don’t think my business will be able to afford it this year. Not just the money, I can’t spare the time for this Black Friday Special until I’m back in my blogging business full-time. (I’m currently working part-time as a Consultant for The Kids Gym and Public Officer for Physical Literacy for Children). Heck, I didn’t even have the time to do Teachable’s Black Friday Bootcamp. But I’m absolutely convinced that the next step in my evolution as a blogger as to get my first Online Course under the belt and I feel that Teachable offers the best training on this. And Teachable’s Black Friday Deal offers insane value. But I simply don’t have the additional $348 this Black Friday to sign up for a Year on Teachable’s Basic Plan so I guess I’ll be holding out for this one next year. My Blogging Business Shopping List for this Black Friday… and next. And I’m working on bagging the Teachable Black Friday Deal next year. What do you think are The Best of The Black Friday Deals for online marketers? These are all great offers. The yearly premium member offer is the best for me. I missed it but with the extension, hopefully I will still be able to take advantage of this opportunity. In the future I plan to use divi, it seems like an awesome theme. Your post is very informative I only knew about the yearly premium offer. Thanks for sharing all these other awesome offers. Lauren, this is a great post about Black Friday deals! You show us some of the best deals and money-savers around. A few years ago, I tried the Elegant theme Divi. For me, it was a tough learning curve to handle. I just did not have time to learn it properly because my website theme was obsolete and not functioning due to a WordPress update. But the lesson I learned was the importance of having a supportable theme and the need to go with a premium theme. Last year I decided to join and use the Thrive Themes membership. I bookmarked your site for further reading. I love your style and can’t wait to explore your site further. Wealthy Affiliate may be a nice platform by that on black Friday we have a tendency to pay $299 for the total year. This membership is incredibly low cost as a result of it’s sole $0.82 a day. Another factor, Black Fri has been extended for different three days, therefore, don’t wait, get this chance if you’re serious together with your online business. Thank you for sharing this excellent post on Best Black Friday Deals. All bloggers want a platform to host their website in order that they will grow their online business. With black Fri sells, there’s a discount off membership fees which is what we have a tendency to all want. I’m so glad I found your website. The Wealthy Affiliate offer is very tempting. Thank you for sharing the Teachable, I was struggling with creating a course based on my passion, but I didn’t found a good platform. Teachable is the solution to my problem, and the offer is excellent. I absolutely love the Elegant Themes, I think the most know is Divi. The price was stopping me from purchasing a theme, but I will grab their fantastic offer which is still ongoing. For anyone that wishes to be a member of wealthyaffiliate the black friday deal is the best time to become a member because of the perks that come attached to the blackfriday deal. There are going to be some tools that have not been made public yet that would be available to those that take part in the blackfriday deal. Its really awesome. Hello Lauren. Great article on Wealthy affiliate Black Friday deal. I recently joined the awesome platform and I must say it’s like no other. Wealthy Affiliate is very rich with helpful content to anyone wishing to make money online. The cost implication is already very affordable, and now that there is this black Friday deal, it goes without saying that this is a deal that I am going to grab. I will upgrade my account to enjoy all benefits that the platform has to offer. I did it I got in on this years Black Friday deal at Wealthy Affiliate, after being a premium member for one month with the first month discount. It is definitly worth it and you have nothing to lose by trying it for free first. I am not at the point where I would use a paid theme. I will keep divi in mind in case I ever do consider getting a paid theme.This is a really good deal, it is for a whole year. I already spent more than double that amount this Black Friday, getting wonderful Christmas gifts on sale. Initially I was skeptical about Wealthy Affiliate. It was too good to be true. How would everyone speak good about Wealthy Affiliate. I searched the internet for reviews about it. Mehn… I had to give it the free 7 days trial and I just couldn’t let go. I’m amazed. I think this is the perfect time to save money for the year. Thank you for sharing. Wow! Great post! Great minds think alike! I too availed myself of the Wealthy Affiliate and Elegant Themes Black Friday deals! How could we not? I mean both are the best of the best in their respective markets. I will be with WA a year in February so I could not wait for Black Friday to come, although I don’t spend as much time on WA as I would like I am so busy filling my sites with content but the WA community is always there when I need you! I knew as soon as I navigated to your site that you are using Divi, your site is beautiful and very well laid out. I emailed it to my wife and she loved it as well! I have been a yearly Divi subscriber for about a year as well and again, could not wait for their Black Friday deal. Both deals were ‘no-brainers’ for me. Divi, in my humble opinion is by far the best WordPress theme available! Thanks for the info on Teachable, if the opportunity ever arises to for me create courses I now know where to go. I wish you massive success in all you do! This is a life changing post. An opportunity to invest for the future. It’s quite unfortunate that I will miss this year’s Wealthy Affiliate Black Friday deal. It seems like Kyle extended the date so that those that would have missed out will be opportune to get the deal. This is the best deal for any one looking to Own a business online. I still haven’t figured any fault with Wealthy Affiliate. This is the perfect community to mingle with. 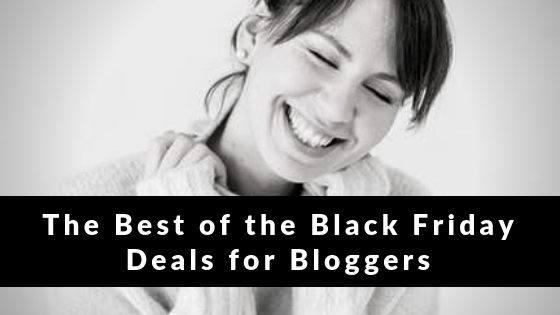 Thank you for sharing with us this wonderful post on Best Black Friday Deals.All bloggers need a platform to host their website so that they can grow their online business. With black Friday sells, there is a reduction of membership fees and that is what we all need. Wealthy Affiliate is a great platform by which on black Friday we pay $299 for the whole year.This membership is very cheap because it is only $0.82 a day.Another thing ,black Friday has been extended for other 3 days so don’t wait ,get this opportunity if you are serious with your online business. You have some great Black Friday deals there. I love the sound of Elegant themes, but they are a little beyond me at the moment, especially as I have missed its Black Friday deal. But I will put it on my list for next year!! Teachable is way beyond my reach, but one deal the I had no intention of missing on Black Friday was the fantastic Wealthy Affiliate deal – and I did not miss that one!! If I could only afford one Black Friday deal – and that was indeed the case – then it is Wealthy Affiliate every time for me. But as you say, there is always next year! Hello. I joined Wealthy Affiliate less than 3 weeks ago and I have had a great time in the platform for this short period of time. The training, tools and support is the best I have ever seen. This period is a period to save 49% for the yearly membership which is $299. Just like you, I have been searching around for a professional theme and I have finally found one. I’ll be launching my website on December 1st. You have so many great deals wrapped in one post! The Wealthy Affiliate deal is insane! It really is incredible for just 82 cents a day. Teachable is something I have heard of but have never thought of checking out, but after reading I can see my self checking this out further. Then to top it off the Dimi theme is awesome and will def be checking that one out. Thanks for this great resource! Black Friday is a good time of year to purchase discounted year-long memberships because the chances are the deal will roll around the next year, and you can just keep on going at the same price year after year! I’ve heard a lot of good things about Divi but I personally chose to go with a Genesis based theme for personal preferences. Did you take a look at any of the Genesis themes when you were doing your research? Best of luck with Divi though! I agree, the Wealthy Affiliate offer is the best all round deal you’ll get, but these are pretty cool too! Thanks for the great Black Friday post with a focus on bloggers! I’m actually already a WA member but took advantage of the Black Friday deal as soon as it went live, even though my current annual subscription wasn’t due until May of next year! I totally agree that it’s the best deal out there! Now you have my interest piqued with Divi and have me looking into more of what Elegant Themes offers. I really want to take advantage of it right now but I’ve already blown my budget and simply can’t. That said, I’d love to hear your experiences with it when you apply it to your site. For me, it’s going to have to be on next year’s list of must haves. It’s both frustrating (as I’m a must have it now kind of guy) as well as exciting (now I have something to look forward to next year). I’m also kind-of holding out for the WP 5.0 Gutenberg release to see what that does for my design options. Please please please update us when you work with your new theme and plugins! Hi Babe, You teach me so much, day by day, and today I have learned even more from you by reading this blog. Am sure I will never know it all but you inspire me to learn. I have shared this post on Pinterest. Hi Ma, Thanks for your lovely comment. I’ll never know it all either. Online learning is ongoing as it’s an ever-changing environment. Let’s keep learning together – such fun! I hadn’t heard of teachables before. That looks pretty awesome. What a great idea! I hope I can afford that next year, too. #goals Happy Thanksgiving! Aah, fab Jaime. Glad I could give you a new goal to shoot for too. Let’s do this! If I recall correctly, I first discovered Teachable through Rosemarie Groner aka The Busy Budgeter.. Or was it Melyssa Griffin? Either way, it was definitely on Pinterest. Thanks for your comment and Happy Thanksgiving to you too!